A KAIST research team developed a crucial source technology that will advance the commercialization of micro LEDs. 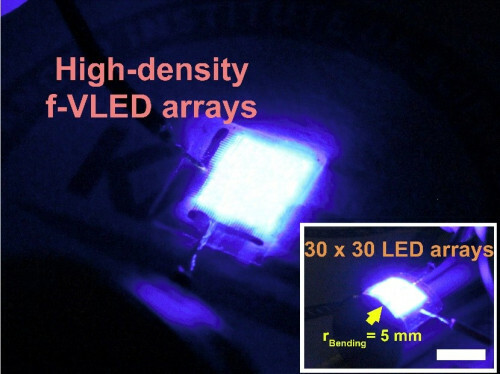 Professor Keon Jae Lee from the Department of Materials Science and Engineering and his team have developed a low cost production technology for thin-film blue flexible vertical micro LEDs (f-VLEDs). In CES 2018, micro LED TV was spotlighted as a strong candidate for replacing the active-matrix organic light-emitting diode (AMOLED) display. Micro LED is a sub-100 um light source for red, green and blue light, which has advantages of outstanding optical output, ultra-low power consumption, fast response speed, and excellent flexibility. However, the current display industry has utilized the individual chip transfer of millions of LED pixels, causing high production cost. Therefore, the initial market of micro LED TV will be estimated to ~ a hundred thousand dollars for global premium market. To widely commercialize micro LEDs for mobile and TV displays, the transfer method of thin film micro LEDs requires a one-time transfer of one million LEDs. In addition, highly efficient thin-film blue micro LED is crucial for a full-color display. The team developed thin-film red f-VLED in previous projects, and now has realized thousands of thin-film blue vertical micro LEDs (thickness < 2 μm) on plastics using a one-time transfer. The blue GaN f-VLEDs achieved optical power density (~30 mW/mm2) three times higher than that of lateral micro LEDs, and a device lifetime of 100,000 hours by reducing heat generation. These blue f-VLEDs could be conformally attached to the curved skin and brains for wearable devices, and stably operated by wirelessly transferred electrical energy. 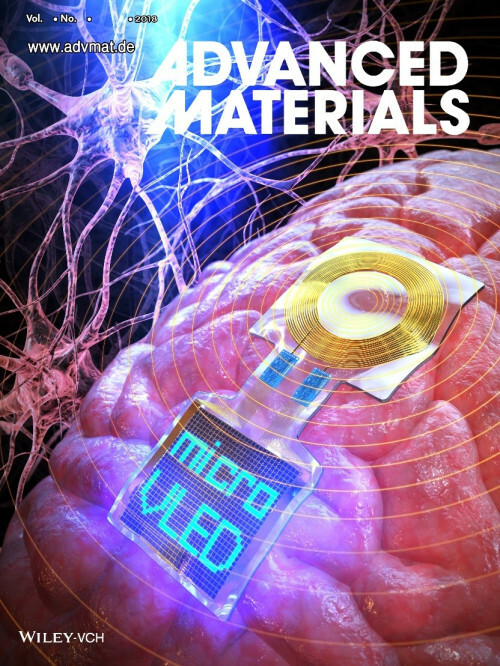 This research “Monolithic Flexible Vertical GaN Light‐Emitting Diodes for a Transparent Wireless Brain Optical Stimulator” led by a PhD candidate Han Eol Lee was published in the June 2018 issue of Advanced Materials.